Produces up to 54.4kg of ice per day. Bin capacity of 6.8kg of ice. 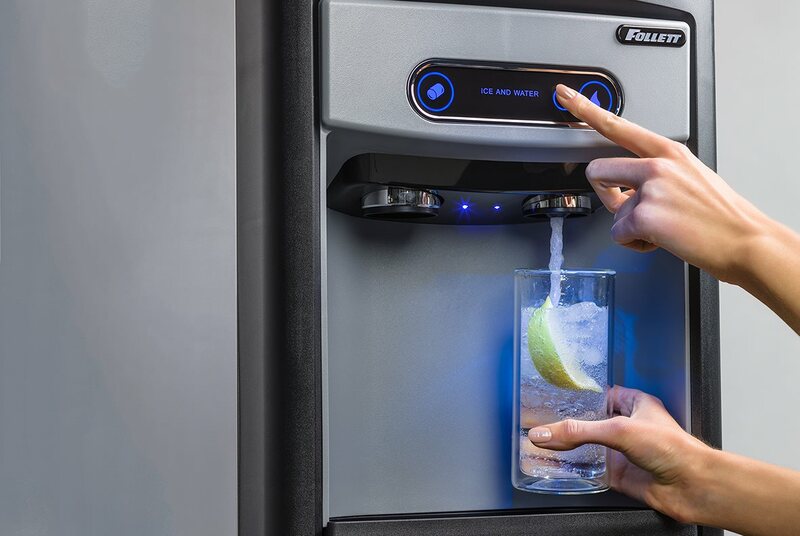 15 Series NOW AVAILABLE with Sparkling Water at the press of a button. 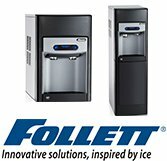 Enjoy premium sparkling water and Follett's signature, consumer-preferred Chewblet ice all in one innovative package. Carbonation module installs separately under the counter or on the base stand. Chilled sparkling and filtered still water. Ideal for households, offices, small bars and cafeterias. Compact, Sanitary, Efficient, Attractive with Antimicrobial treatment.